What Is The Definition Of Mishit In Volleyball? What Is A Mishit In Tennis? 1. This refers to when the player does not hit the ball correctly on the racket. 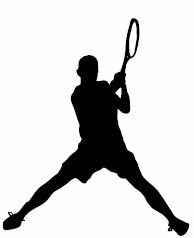 When a player mishits the ball, it’s usually because they did not hit the ball in the ideal, or sweet spot, of the racket that has the most even and balanced amount of strings. What Is A Mishit In Volleyball? 1. This occurs when a player makes an attempt to hit, spike or set the ball, and makes contact other than they intended. By doing so, the ball can then be sent in the wrong direction, have the wrong spin, have less force behind it or even the player could miss making contact with the ball entirely. 1. Williams tries to return the serve with a forehand, but mishits the ball with the bottom of her racket, sending the ball straight to the ground before it can make it over the net. 1. Logan receives the set from Jones, leaps in the air, but mis-hits the ball, sending it out of bounds therefore losing possession of the ball.